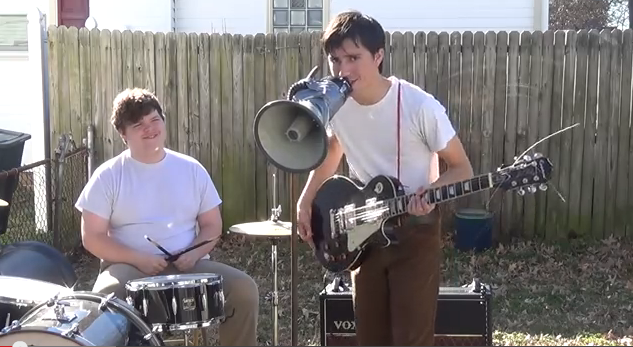 The Dead Tapes, a two-member rock and roll band from Norfolk, Virginia records themselves performing a rock song in their backyard. A unique aspect of their music is the use of a megaphone. In the video below, Aaron Bariso (on guitar and vocals) and Eddie Barber (on drums) perform their original song called Where Did She Go?. For more of their music and other updates, check them out on YouTube or Facebook.